You and your passengers depend on your tires for a safe and secure ride. 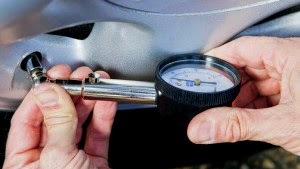 National Tire Safety Week, May 24-30, is a good time to check your tire maintenance procedures. Test your knowledge by taking our six-question quiz. Safercar.gov provides a wealth of tire safety information, including tips for purchasing and maintaining tires. Read the five tips for tire maintenance and get ready for the quiz!